When back pain strikes it can often be one of the most upsetting and frightening pains that our patients have gone through. 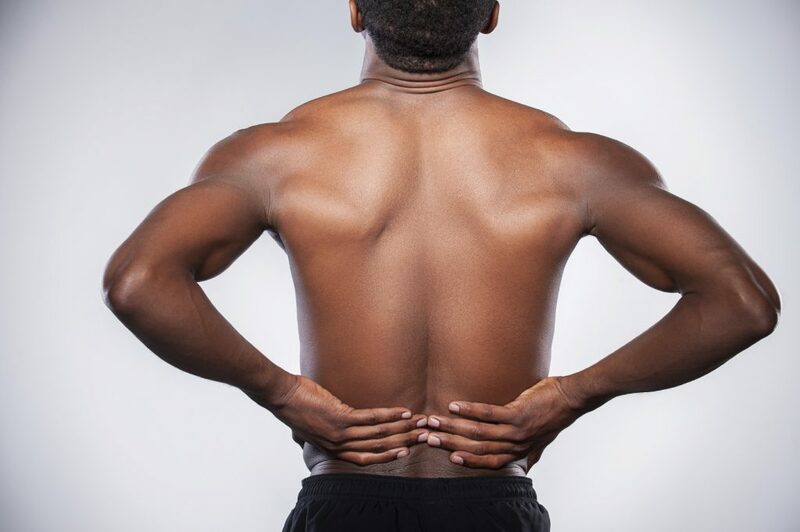 Many of our patients experienced back pain of a sudden, non-traumatic onset which either bites very suddenly and severely or they describe feeling a niggle, then stiff and wake up the next day in pain and unable to move. Why the pain arose in the first place is complex and there are multiple factors that can contribute to this pain. So what is a good common piece of advice we always offer our clients to do to prevent future episodes of unwanted back pain? Move more often! This is quite simple yes, but effective? Yes! Your back is designed to move and that is what we advise you to do. You see the spine is made up of basically a stack of bony blocks on discs which are held together by strong joints and ligaments. Movement is the key way to move nutrients around these joints supplying oxygen and removing waste products. When back pain strikes quite often there is an associated spasm which prevents the back from moving. This can then increase the pain that you are experiencing. Ever take a long car journey and when you get out your knees are stiff and sore? This is what your back is feeling! So our job is to get you moving and keep you moving. Sitting jobs are the norm now as we all know and many of us sit in the car or on public transport to get to work and then sit at our desk. So here are some simple tips to get moving. Using fitness trackers is a great idea. You can set a movement alarm every hour which reminds you to get up and move. Don’t fancy one, then simply place any item like a figurine of your childhood super-hero on your desk. You can call him movement man! When you see him, his job is to remind you to get up and move. While you are on your feet, why not try touch your toes, bend to both sides and try touch your knees and reach your hands to the ceiling. There you go! Done! Standing desks are the future! Many of the modern offices are being fitted out with standing desks. These can come as fixed height desk spaces or you can simply get a standing desk converter that is places on top of your desktop. You simply place your computer screen and keyboard on top and pump the desk up to your height and you can stand and do your work. The advice with a standing desk like with sitting is to do it for 30-60 minutes and then go back to sitting. Change up your desk throughout the day which loads your back differently in the different postures. You are less likely to get pain this way. Walking is a great way to get your back, hips and knees moving. So why not try go for a walk at lunch? Try spending ten to fifteen minutes stretching your legs out if you only have a short break. You can add in simple movements like high knee marching or heel to bottom flicks to further move your back and hips. When you get home, try get out for a 30 minute walk to get your hear-rate going, pump your legs and move all your joints. Its simple and enjoyable in these longer spring evenings. Another excellent piece of advice is to lie down. The muscles of your back have one major job to do and that is to keep you upright against gravity in either sitting, standing or walking. So if you are giving your muscles too much work to do, like an unhappy over-worked, under-pain employee they will eventually quit with exhaustion and go on strike! There is no harm in giving these muscles a break. Lie down when you get home for 10-30 minutes. Yes we know, easier said than done for most people. In the summer months why not lie in the grass on your lunch break, decompress those joints and give your muscles a break. While you are on the floor you can do gentle movement exercises like pull your knees to your chest or rock them side to side. Pilates and yoga classes are excellent ways of building a routine of doing floor and matt exercises which can help you to decompress the spine and improve core control. So try these simple tips. You don’t have to be in pain to practice good house-cleaning. Stay moving, get walking and try remain painfree. This entry was posted in Blog and tagged back pain, back spasm, exercise, movement, spasm.